Freezing temps? No worries. 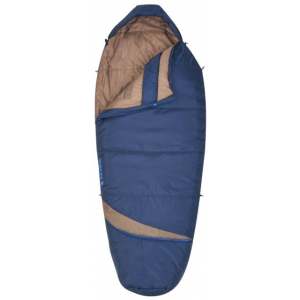 The oversized Kelty Tuck EX 0 sleeping bag offers luxurious warmth in an oversized mummy bag. Synthetic insulation offers the perfect blend of warmth and compressibility. 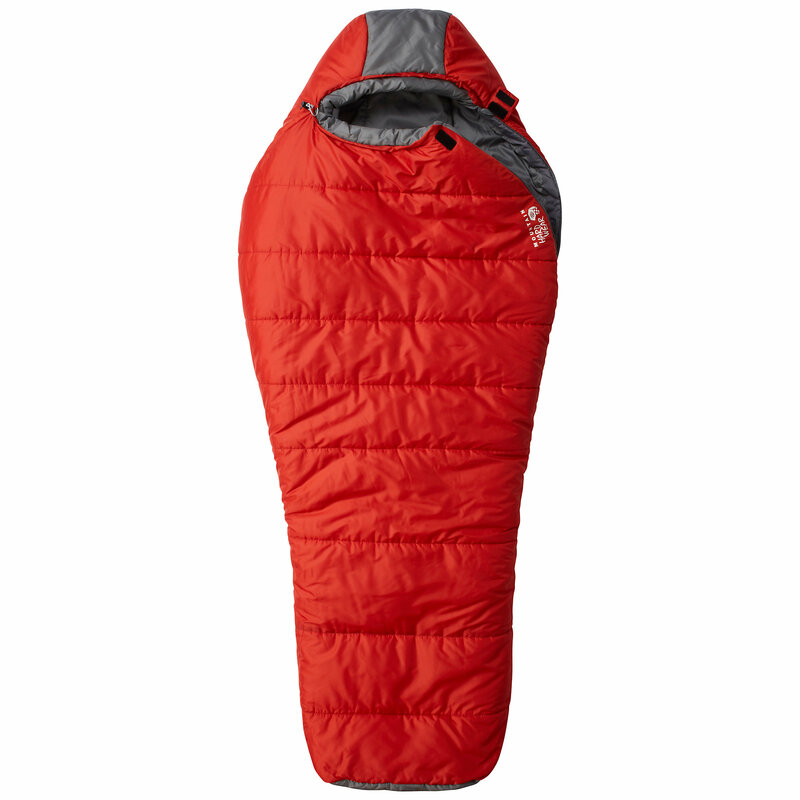 Kelty Camp & Hike Tuck EX 0 Sleeping Bag (Synthetic)-Garnet Red-Regular-Right. 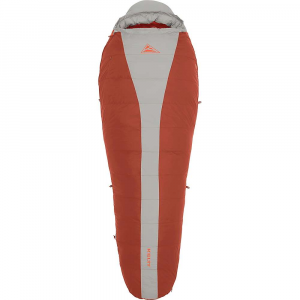 If you don't like feeling confined like a mental patient when you zip into cramped sleeping bags, then Kelty has the solution for you. 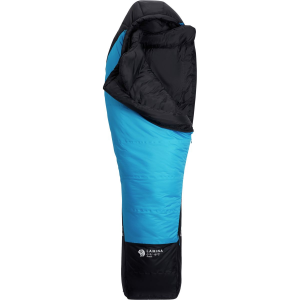 The Kelty Tuck EX Sleeping Bag: 0 Degree Synthetic offers extra space for extra comfort when you're sleeping outdoors in freezing temps. ThermaPro insulation provides the perfect blend of warmth and superior packability so you can stay warm in frigid conditions without lugging around a gigantic bag. The Comfort-Tuck zipper system allows you to poke out your feet from the bottom of the bag for cooling comfort when you're camping in warmer conditions. It also sports a media storage pocket so you can listen to your whale songs while you drift off into a sweet slumber. 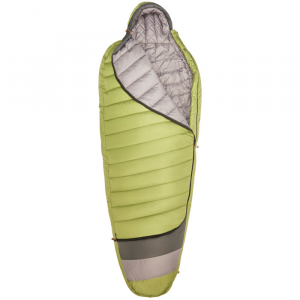 Keltys Tuck EX 0F Sleeping Bag features a roomy mummy-bag design that delivers exceptional insulating benefits without King-Tut-like constraint. ThermaPro insulation keeps you warm down to 0F, allowing you to continue your adventures when the mercury plummets. Comfort-Tuck zipper system allows you to stick your feet out on warmer nights. Thermal hood lets you seal in warmth on extra-chilly nights, while a natural-fit footbox doesnt force you to contort your feet. Media-friendly storage pocket. Zipper draft tube and draft collar lock warmth in and prevent cold air from entering your bag. Anti-snag design keeps the zipper from getting tangled in the fabric. Loop on the back makes it easy to air out after use. 75-denier polyester-taffeta shell and liner. Includes a stuff sack for compact storage and transport. Imported. Gender: Unisex. Type: Mummy Sleeping Bags. The Kelty Tuck EX 0 is not available from the stores we monitor. It was last seen March 21, 2019	at REI.